Nollywood movie producer and actress Uche Jombo has returned back to the United States of America where she’ll be spending the holiday with her husband, Kenny Rodriguez. The actress was spotted on Friday at the departure wing of Murtala Mohammed Int’l Airport while trying to board an Arik flight to New York. 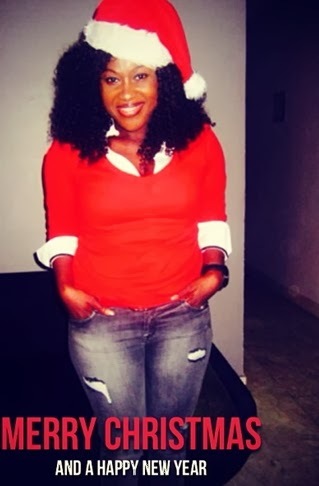 Dressed in a red top and a blue jean, Uche Jombo arrived at the popular international airport with her brother and Nollywood colleagues. 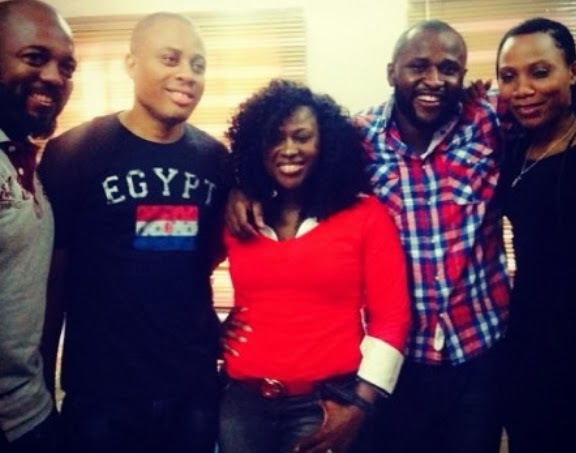 Check out Uche Jombo’s blood brother on the right… What a resemblance! Is the lady on the right her brother’s wife? @Dammy k,go,and ask google.some people can ask unreasonable question.is it was the topic is all about? I wish you happy xmas my Angel ,and,remain the Best you have always Be.uche and mercy are My best actress.One Love.paece to you both.